Pastas, yeast-raised dough such a pizza dough, crisp pastries, and other self-rising breads welcome the formation of gluten, which gives structure to these baked goods. When making chemically leavened goods, however, like pancakes, scones, cookies, cakes, and flakey or tender pastries such as pie crust, you want to inhibit the formation of gluten as much as possible. There are two ways to do this, depending on the baked good: let the dough be thirsty or drown the dough. With flaky, tender pastries (pie crusts, scones, biscuits), the thirstier the dough, the better. Adding just enough water to hold your dough together will yield the most tender, flaky crust. Adding too much water will form too much gluten and make the final product tough (and undesirable). With cake batters and some bread dough (artisan breads), you want to drown the flour. Once the gluten in the dough is fully hydrated, additional water dilutes and weakens gluten. In this case, the excess moisture creates tender cakes and baked goods. Tip: Don’t over mix! The more you mix, the stronger the gluten becomes! 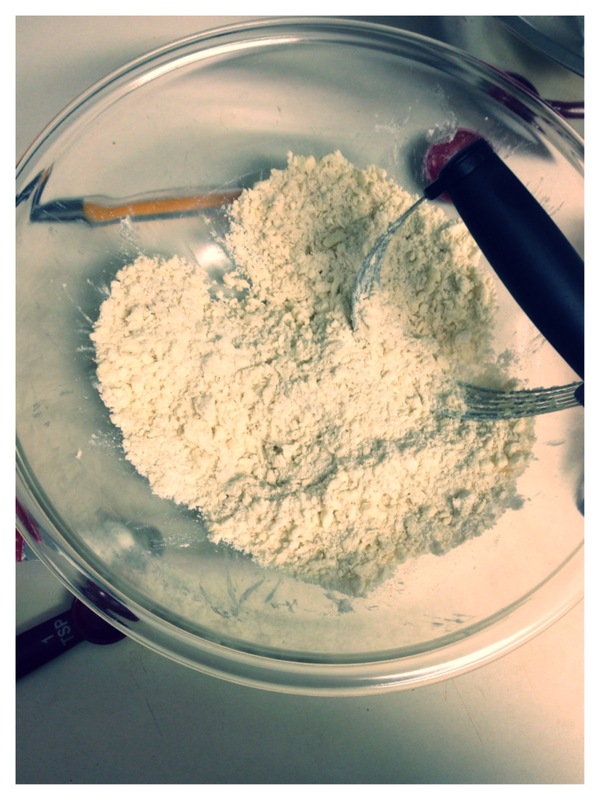 This is why it is important to listen to a recipe when it says something like, “mix until just incorporated”, or, “mix until just some of the flour can still be seen in the dough”. The best cure for this problem: Practice. Sigh, I know. Fun Fact: Fats, like butter and shortening, weaken gluten, preventing the proteins from forming long, strong strands. Did you know shortening is called shortening because it shortens gluten?!?! Sugar makes gluten weaker too, by binding with water molecules before those molecules can bind with flour to make gluten. (Are the mixing processes of your cake recipes making more sense now? Ahhhh…) This makes the resulting baked good more tender. Salt, alternatively, strengthens gluten and makes it stickier. 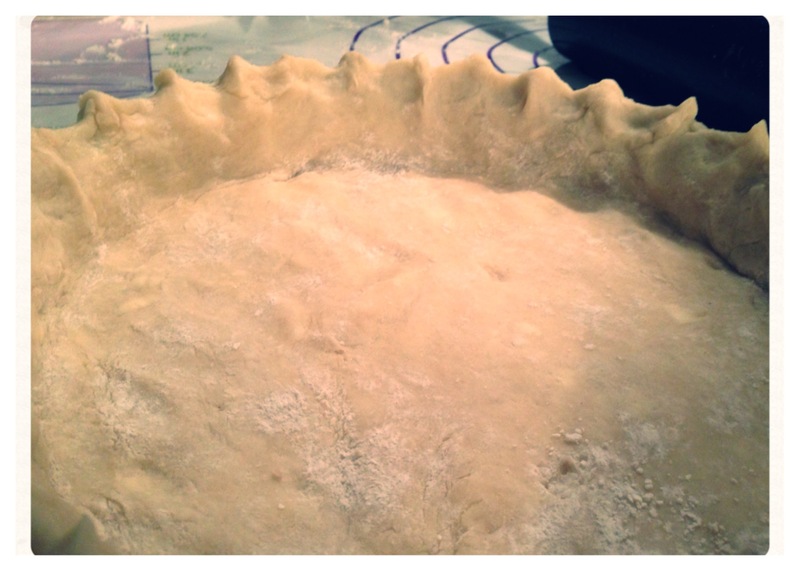 Now that we understand gluten, let’s move on to the main event: Pie crusts! While pie crust recipes vary some, the overall gist is the same, and the process is pretty similar across the board. 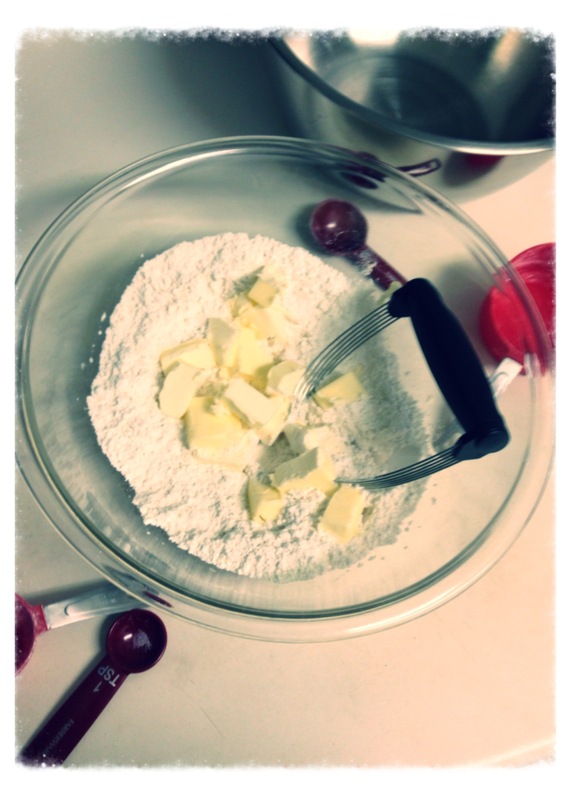 When making pie crust, you first cut the cold butter into the flour, a process resulting in a bowl full of little tiny flour-coated butter balls. When you add your water to this mixture, the water binds with the flour, creating a gluten sheet encapsulating the butter tidbits. Essentially, you now have a bowl of gluten-covered fat bits. Yum. These little balls have three parts: the inner butter core, the outer gluten layer, and the butter/flour paste at the interface of these two layers that is basically individual flour particles covered in fat. 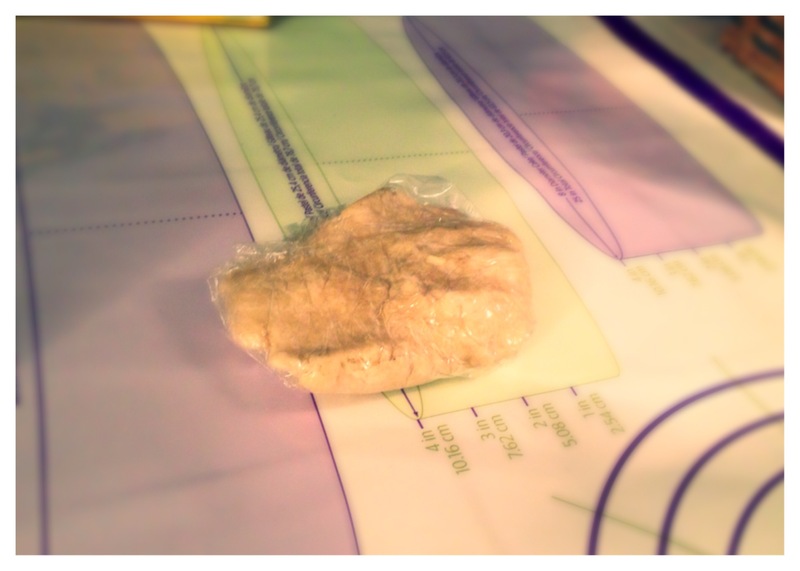 When you roll out the dough, the gluten stretches out into wide layers. The tidbits of fat (butter) flatten out into sheets as well, separating the layers of gluten. Then you have the flour/butter paste that works similarly to the pure fat, melting upon baking and dispersing itself among the layers. This layered format of the dough creates layers that separate as they bake, making it light and flaky, instead of forming a solid hunk of dough. By replacing half the water with vodka (which is only about 60% water), you are still getting the moistness you need in the dough to hold it together and make it easy to roll, but you are decreasing the amount of gluten formed, since alcohol prevents gluten formation. Less gluten = more tender and flaky crust! You do need some gluten formation to hold the crust together, so you don’t want to replace all the water with vodka. 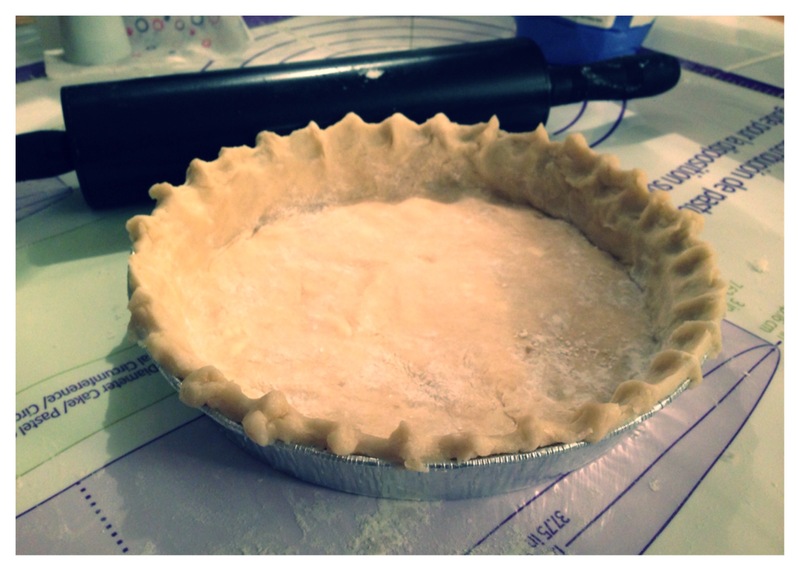 An all-vodka pie crust would just be a crumbly mess once baked that would not be able to support the pie filling! And don’t worry – the alcohol evaporates in the oven, so there is not boozy flavor or intoxicating effects of the dough…at least not from the vodka! Why ice water and cold butter? Pie crust recipes always call for ice water and chilled butter, but why is this? Cold butter is SO MUCH HARDER to cut into the flour than softened butter! The answer is simple. You don’t want to melt the fat before you get it in the oven. The balls of butter create steam when they melt in the oven, allowing the crust to separate into flakey layers, as opposed to one solid mass. If the butter melts before entering the oven, you don’t have steam and the result is a tougher crust. So, in conclusion, to create the best pie crust, you must form only minimal amounts of gluten and create layers in your crust dough that can separate during baking. To do this, use cold water and cold fat, part vodka and part water, and practice your dough kneading and mixing skills to get the perfect amount of mixing down! Well, I know I’ve learned a lot today; I hope you have too! What baking mystery would you like me to investigate next?